Welcome to the one of the most fun hostel in Krakow! Let us take you to the crazy journey through Krakow to feel the city vibes and it’s unique atmosphere. 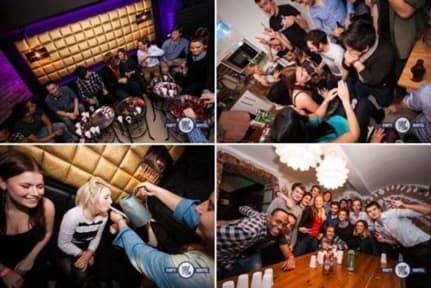 Nicely arranged hostel with our multilingual experienced staff will give you a warm welcome to Krakow's nightlife and make sure your stay will be unforgettable. Everyday events such as Pub Crawl, Vodka Marathon, Walking Tour or Games Afternoon will keep you entertained during your stay. Outrageous Free Breakfast everyday (7am to 10am): 3 kinds of cheese, ham, salami, fried bacon, sausages, fried eggs, mixed vegetables, 3 kind of cereals, chocolate & hazelnut spread, jam, pancakes, 3 kinds of bread and many more! Free dinnet at 8pm – pizza, pasta, mixed meat, potatoes, salads – you don’t wanna miss this one! Perfect moment to meet fellow travelers, socialize and get ready for evening parties! Every day themed Pub Crawls – karaoke night, Beerfest, Sangria Fiesta, Hawaii Party, 80's Party, Polish night, All-year-long Carnival and more! During the day you can also enjoy the wide range of tours (city and region) as Auschwitz-Birkenau, Salt Mine, Tatra Mountains and many many more. We made sure we have the possibly best rates for our guests! - Always on duty and always ready to party! Remember: Greg and Tom Party Hostel is a PARTY hostel - that means you don’t always get enough sleep, there’s music played till 11PM, some people get sick, etc.